Remove burrs on the end of the pipe which can cut into the O-ring and make slight serrations where the fitting collar will slide on to allow for an adequate grip. 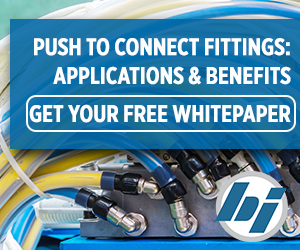 Ensure that the Push to Connect fittings are recommended and approved for the application. Because there are so many types of these fittings, make sure to reference and follow the manufacturers’ instructions to ensure a tight seal. Some Push to Connects require a special tool to remove the fitting. The tool will typically come with the fitting, so be sure to use it instead of attempting to force it off the tube or pipe. 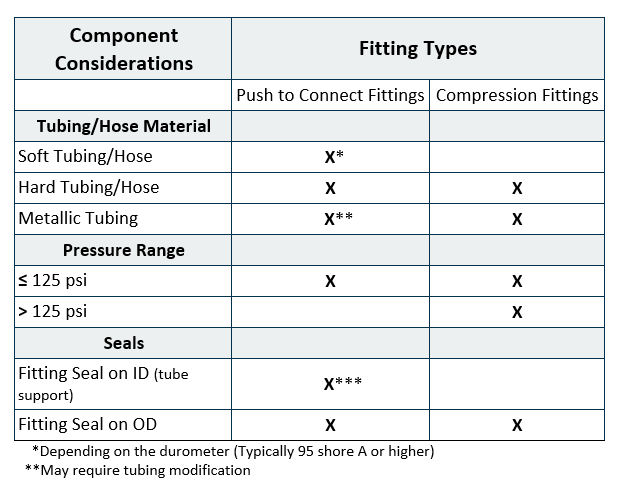 The chart below outlines the fitting selection process between Push to Connect and compression fittings.